We’re due one more Yeezy release before year’s end. 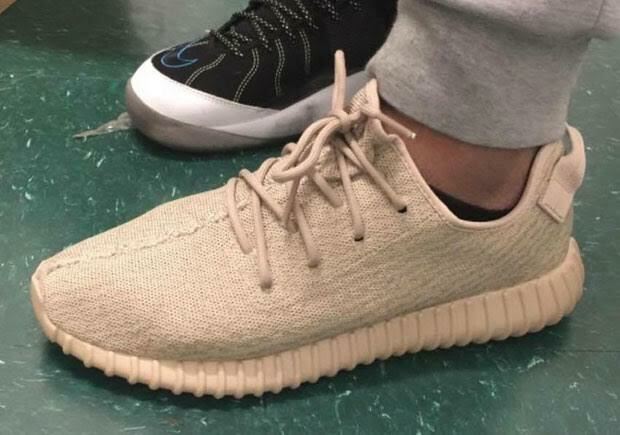 The adidas Yeezy 350 Boost “Oxford Tan” continues the tonal lifestyle luxury that Yeezy x adidas has come to be known for and will release on December 29th, 2015 for $200. We’ve yet to get a full Yeezy store list regarding where this Yeezy Boost 350 will be available stateside, but Foot Locker Canada recently posted two available stores on their Instagram. The “Oxford Tan” Yeezy Boost 350 features a rubberized outsole to hide the underlying Boost technology while a Primeknit upper comprised of Light Stone and Oxford Tan rounds out the entire offering in what could be the cleanest aesthetic yet. What do you think? Check out full details below and stay tuned for more updates on Yeezy shoes right here on Sneaker News.